Could Tesla survive without Elon Musk? An automaker with an irreplaceable CEO such as Musk is a throwback. With coverage of Tesla increasingly dominated by the personality and peccadilloes of CEO Elon Musk, a question that has long lurked around the edges of discourse on the company is becoming harder to ignore: What would happen if Musk was no longer Tesla's CEO? For many investors, Tesla without Musk is like mornings without coffee: Why bother? "Why would you invest in Tesla without Elon Musk?" asked Ross Gerber of wealth management firm Gerber Kawasaki, a vocal Tesla supporter and investor. "It doesn't make sense." And yet, replacing Musk has become a hot topic in the past week, following an emotional and, at times, painful-to-read interview Musk gave The New York Times this month. The newspaper quoted sources saying the Tesla board, concerned in part about Musk's use of sedative Ambien and recreational drugs, is searching for a new No. 2 executive to take some pressure off Musk. And that interview came after revelations that the U.S. Securities and Exchange Commission has been investigating Tesla for its disclosures around production problems and for Musk's tweet this month claiming the company had secured financing to go private. On Friday, several members of Tesla’s board said Musk is no longer recommending the company go private, so the special committee exploring that option was disbanded. Last week, former General Motors Vice Chairman Bob Lutz, a brash and outspoken industry leader himself, told CNBC he believes Musk should step aside as CEO. "I think Elon is tired. He's worn out. He's obviously got some emotional problems. He's self medicating," Lutz said. "He has shown some disturbing signs of being somewhat volatile and unstable. I think the right solution for Tesla at this point is to move him aside from day-to-day operations." One thing is certain: Tesla is dependent on its CEO to an extent that the auto industry hasn't seen in decades. From sleeping at the factory to help move cars through what he called "production hell" to the external perceptions of fans, customers and investors, it's all but impossible to separate the man from the company. Tesla is not the first company to have its fortune tied closely to the aura around its CEO. Investors worried whether Apple could survive after CEO Steve Jobs died from pancreatic cancer. This perception of Musk as an indispensable Tesla asset is common in investor and fan forums, but in the auto industry an irreplaceable CEO is something of a throwback. The last startup-style automakers whose brands survive to this day are Lotus, which was founded in 1952 and is now owned by Zhejiang Geely Holding Group, and Lamborghini, which was founded in 1963 and is currently part of Volkswagen Group. Many other big, brash personalities have tried to launch their own brands, but have failed. 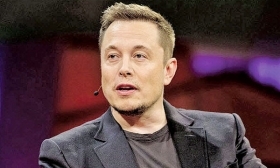 Sam Abuelsamid, senior transportation research analyst at Navigant Research, said that micromanaging CEOs such as Musk are no longer common in the auto industry because "as an organization grows beyond a certain level, no one person can manage the entire organization. If you're dealing with supply chain, manufacturing, design, validation, retail and the service side of the business — and then, in Tesla's case, you have all the other business lines they are in — it's just not possible for any one person to effectively manage all that." Replacing Musk as CEO would not necessarily mean he would leave Tesla. Ford Motor Co. could serve as a good template for how Musk could step away from day-to-day operations at Tesla and remain deeply involved with the company. In September 2006, Bill Ford stepped aside as CEO of Ford Motor Co. and named Alan Mulally as his replacement. Ford remained with the company as executive chairman, and Mulally navigated the day-to-day business and helped Ford through the Great Recession without having to file for bankruptcy, unlike competitors GM and Chrysler. But that dynamic worked because Ford was eager to find his own replacement. He had long admitted that it was not his dream to be CEO of his great-grandfather's company; he would have been happy overseeing something like the Detroit Lions or something dealing with visions for the future of transportation and megacities. Musk may be unable to let go of the reins as easily. His tendency toward being what he calls a "nano-manager" may bless Tesla with a heroic glow that investors like, but inside the company, workers and managers say his direct involvement is often problematic. "If he's sleeping at the plant, that's actually a bad thing," says one former manager who worked directly with Musk at Tesla's Fremont, Calif., plant. "He says himself that he's not a manufacturing guy. He's an engineer, he's an innovator. He puts the pressure on the management team, but he doesn't really understand where the true bottlenecks are because most of them are not going to tell him where those bottlenecks are." Though Gerber sees Musk as fundamental to the company's success, he concedes that Musk's major weakness is in team building. "Like a lot of smart people, he doesn't get certain realities and that certain things go certain ways … and he's not really a team player," Gerber says. "But if he had a better operator partner, he wouldn't have those problems. Bringing in someone from the auto industry would be a very smart, pragmatic move." Navigant's Abuelsamid says Musk's need to maintain control is part of why he hasn't built a long-term team around himself. "His inability to delegate frustrates the employees he brings in to help with certain areas of the business," he says. "Musk makes noise about wanting to learn from people who have expertise in different parts of the organization, but the reality is that he either decides 'you're wrong about this and we're going to do it my way,' or they gloss it over and it doesn't get addressed until there's a crisis." As a result, Abuelsamid says, "they have an extremely high turnover rate in all parts of the organization. There have been relatively few high-ranking people at Tesla who have been there for an extended period." The challenge, Abuelsamid says, is in balancing the organization's need to become independent of Musk's control and build a more balanced culture and in keeping investors happy by maintaining his leadership over the strategic direction of the company. "If he could be chairman and chief visionary officer, investors would know the guiding principle of the company is still there while allowing the operational culture to break free. But I don't know if he has it in him to give up that kind of control, so I'm not sure that's actually a workable plan." Meanwhile, vocal Tesla critic and short seller Jim Chanos is unconvinced that Tesla's operations can be made profitable, no matter who is at the helm. A new CEO wouldn't be able to fix the underlying economics of the business, and Tesla will be dependent on raising money through the capital markets. "Tesla has been able to defy their unsustainable economics because of Musk's access to capital markets," he said. "In any environment other than dot-com Bubble 2.0, this company probably would have been dead and buried a couple of years ago." Neither Musk nor a new CEO will be able to withstand a cyclical downturn in financing, Chanos said. "The fact that Musk has been able to access billions and billions of dollars to finance his vision is as much about the market environment as it is him," he said. It almost doesn't matter if Musk stays or goes; it's all about the capital markets, he said. "I think that's what investors are underestimating."